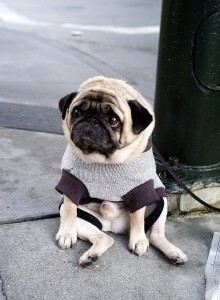 Is this the world’s saddest dog? We challenge any dog lover anywhere not to look at this picture and feel something. Everyone altogether now, awww! This fed up looking little pug has been nicknamed the saddest dog in the world after this photo made him an Internet sensation across the globe. The photo has appeared on websites and been emailed all over the world and now has even topped the Internet charts for the most popular photo. 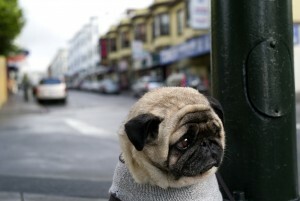 The little pug is dubbed Mr Newman after the Hollywood legend and was pictured sat outside a San Francisco café wearing his little dog sweater waiting for his owner. So there you have it, Mr Newman is the world’s saddest dog.